JERUSALEM — Archaeologists in Israel state that they might have found the biblical city of Bethsaida, which was the hometown of apostles Peter, Andrew and Philip. 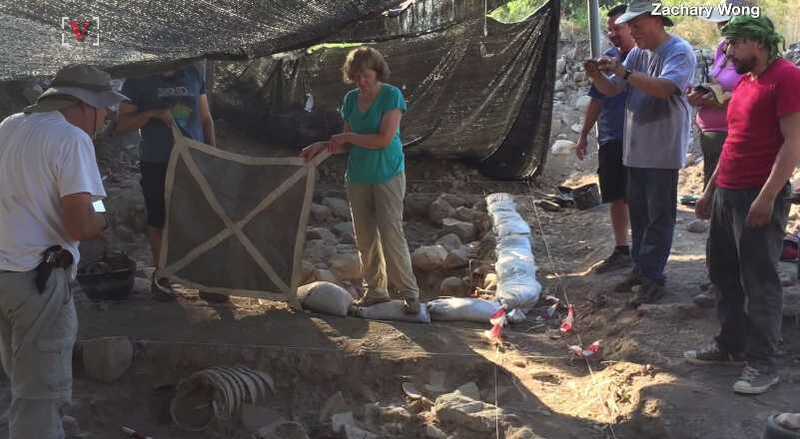 The excavation was conducted in the upper Jordan Valley by the Kinneret Institute for Galilean Archaeology at Kinneret College, and led by Dr. Mordechai Aviam of the institute, as well as Dr. R. Steven Notley, a professor of New Testament and Christian Origins at Nyack College in New York. “This is a discovery that will arouse great interest among early Christian scholars, historians of the New Testament, and scholars of the land of Israel in general, and the Jewish Galilee during the Second Temple period in particular,” Aviam told the Jerusalem Post. He explained to the outlet that there are a number of details that would indicate the el-Araj location aligns with the historic site, including artifacts that suggest the area was occupied by the Romans in the first century. A coin from the time of Nero at approximately 65-66 CE was also discovered at the excavation site, and researchers believe that the sea level at the time would have placed the city on the coast of the Sea of Galilee. The site was found covered with mud and clay. Notley likewise seemed cautiously optimistic about the el-Araj location. The Bible outlines in John 1 that three of Jesus’ disciples lived in Bethsaida. “The day following, Jesus would go forth into Galilee and findeth Philip, and saith unto him, ‘Follow Me.’ Now Philip was of Bethsaida, the city of Andrew and Peter,” verses 43 and 44 read. Jesus also healed a blind man in Bethsaida, and additionally multiplied the loaves and fishes to feed 5,000 who had gathered to hear Him teach. “And He cometh to Bethsaida, and they [brought] a blind man unto Him, and besought Him to touch him. And He took the blind man by the hand, and led him out of the town; and when He had spit on his eyes, and put His hands upon him, He asked him if he saw ought,” Mark 8:22-26 outlines. The excavation is expected to resume in June 2018, and researchers would like to continue studying the area for another five seasons.